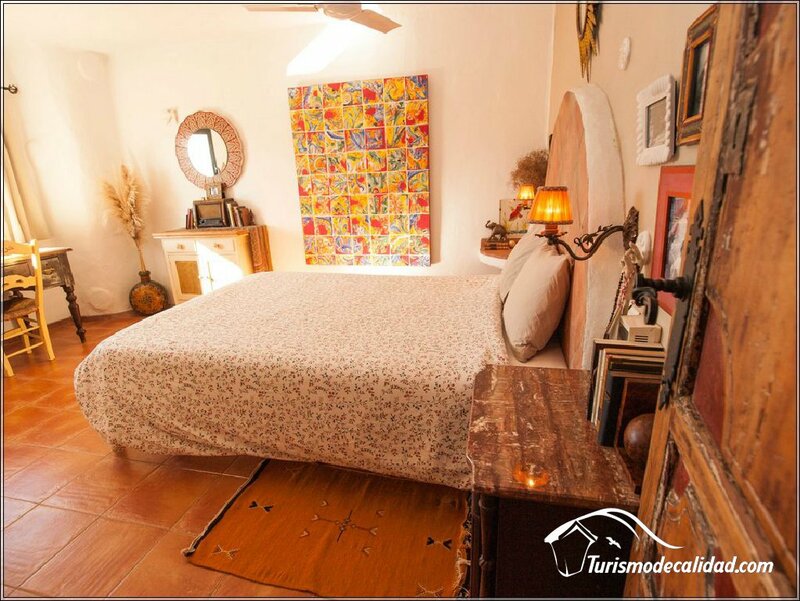 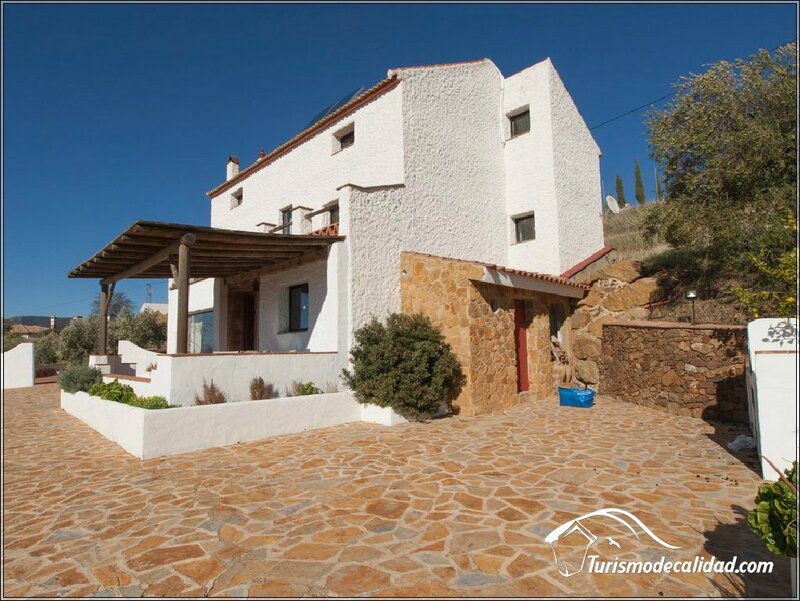 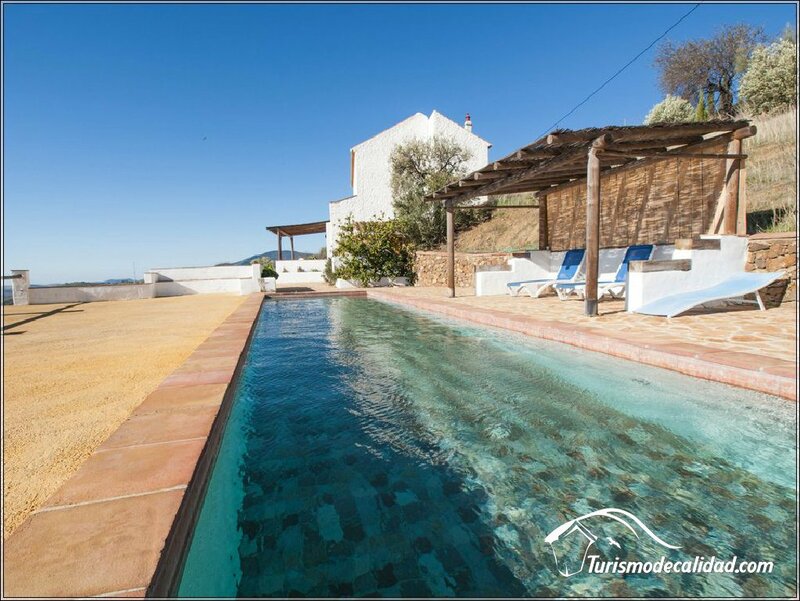 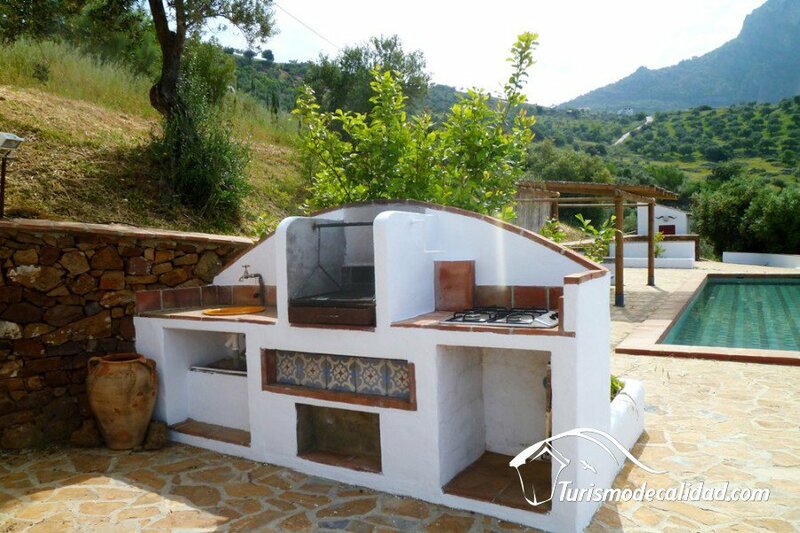 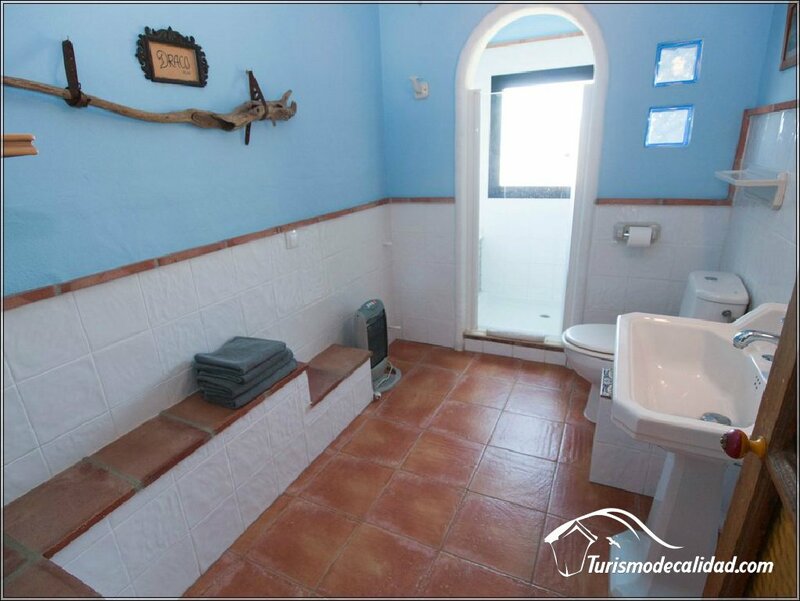 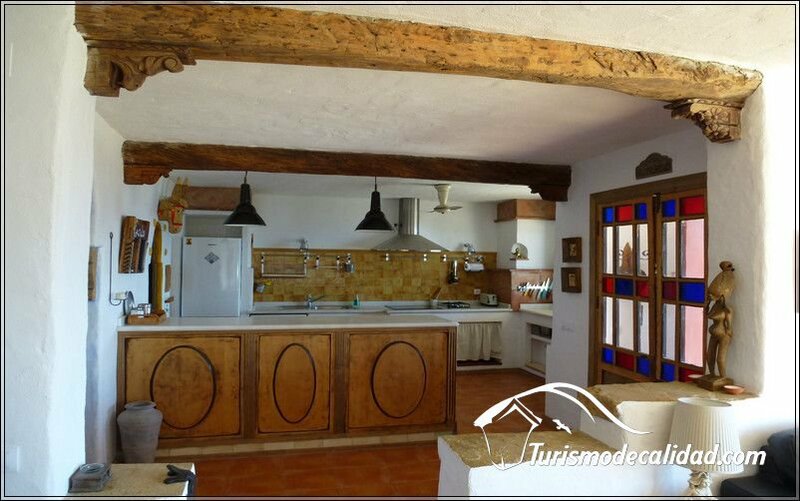 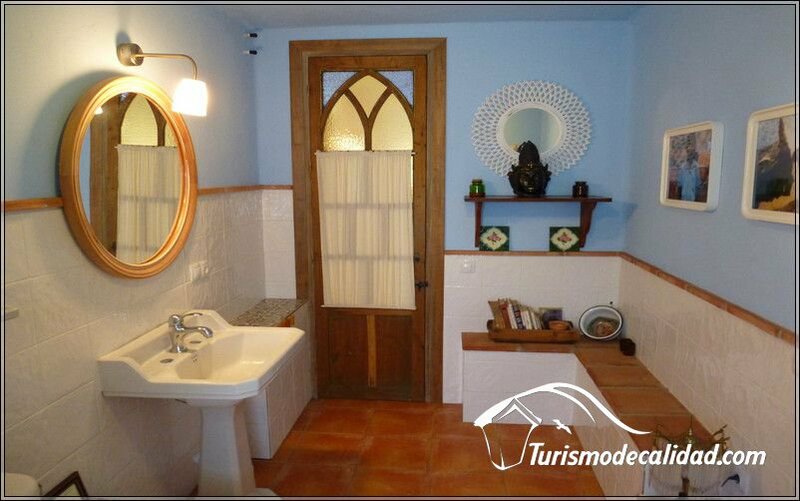 Rural accommodation El Rincón del Jaral ' in El Gastor, (Cádiz), is located on a land of two hectares, fenced in its entire perimeter. 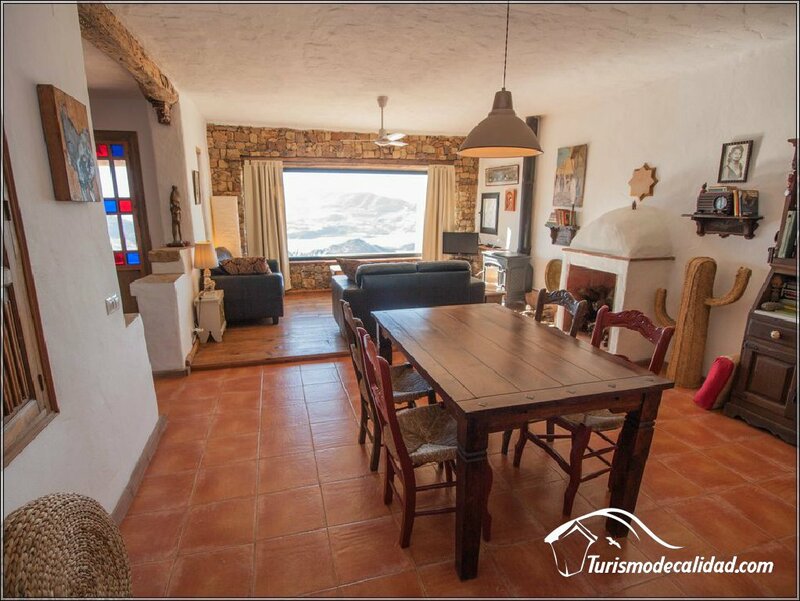 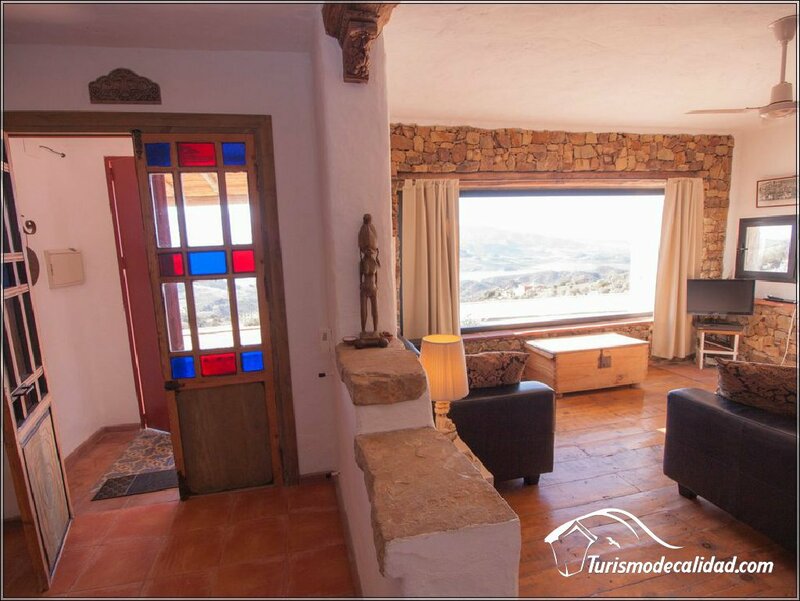 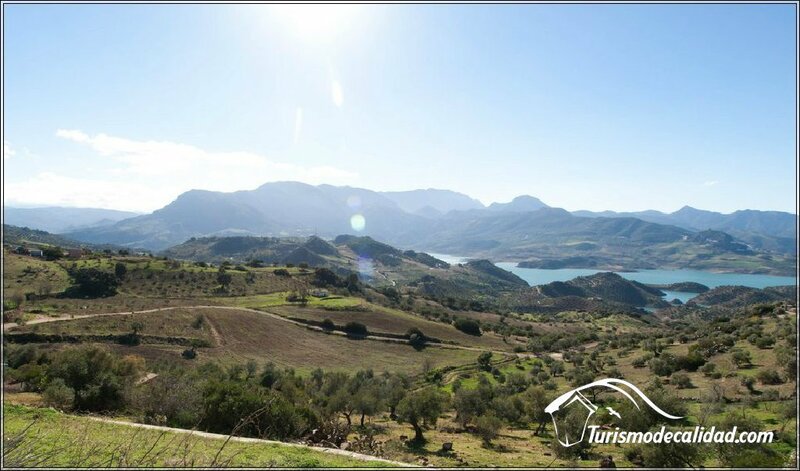 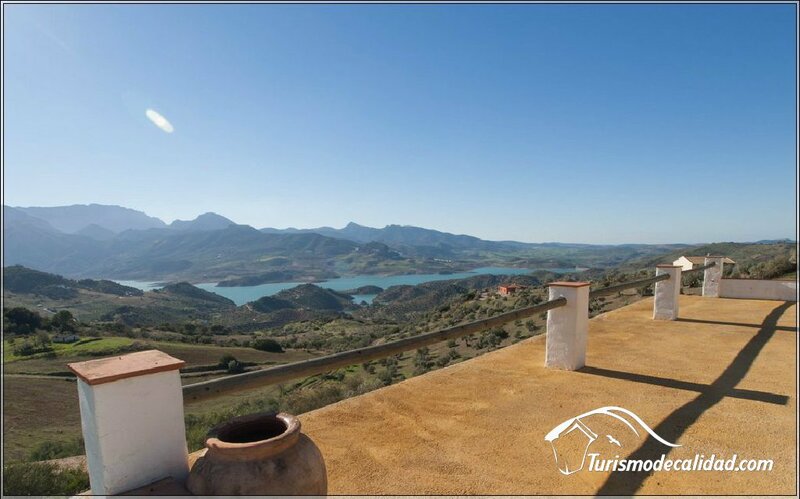 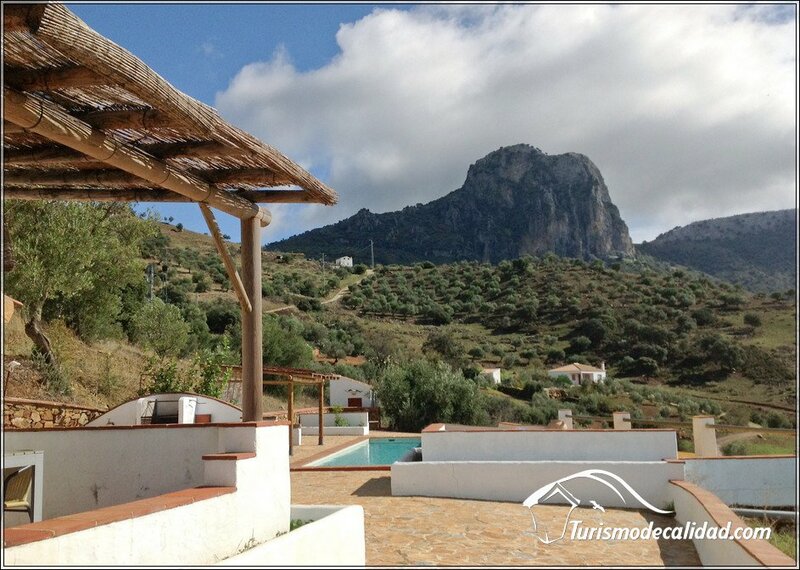 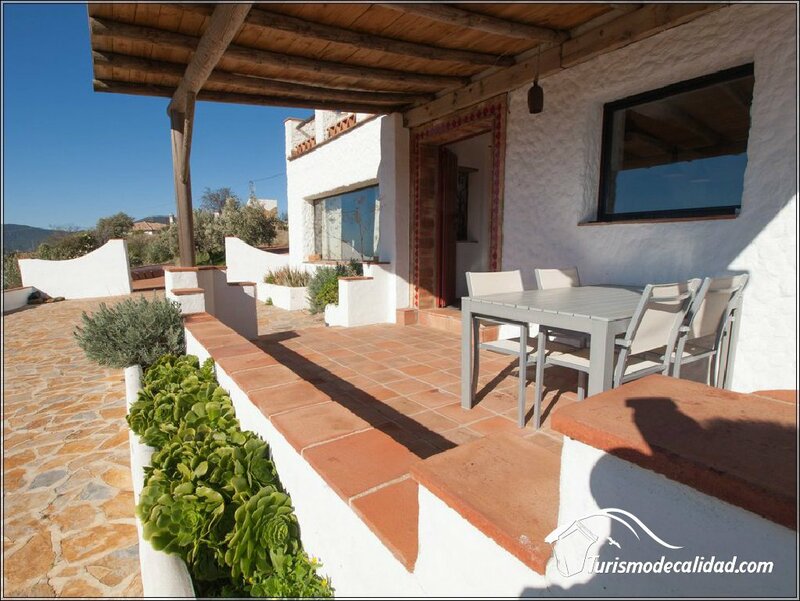 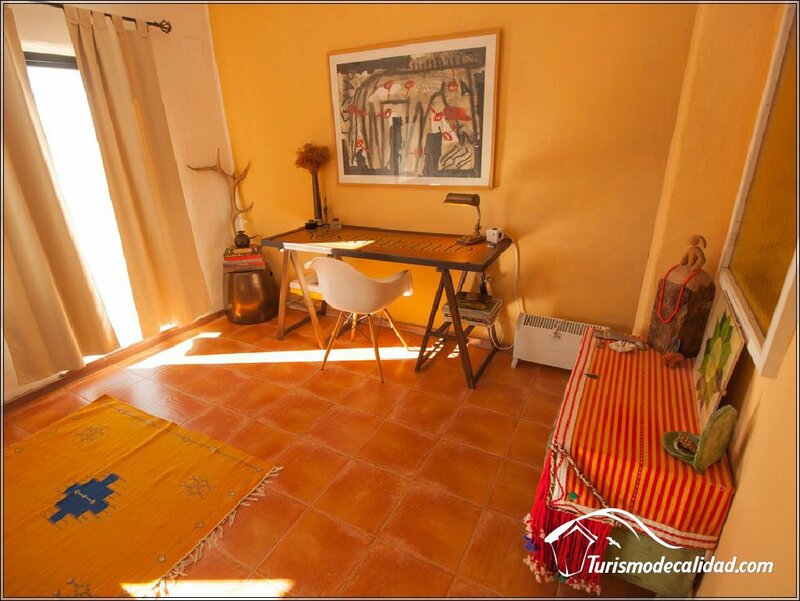 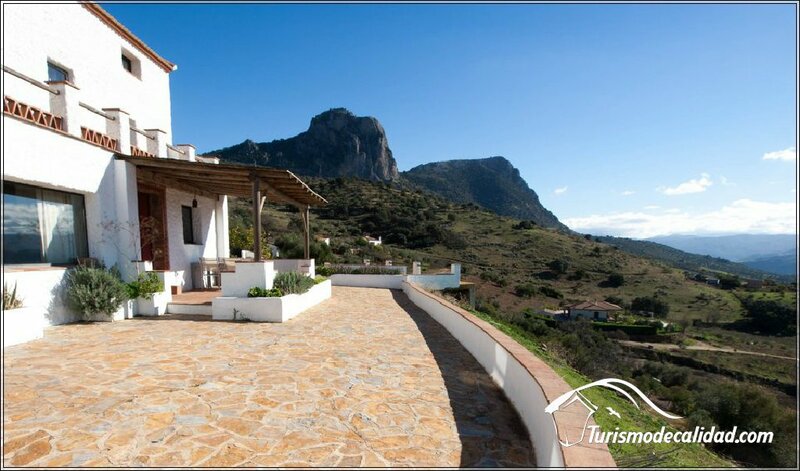 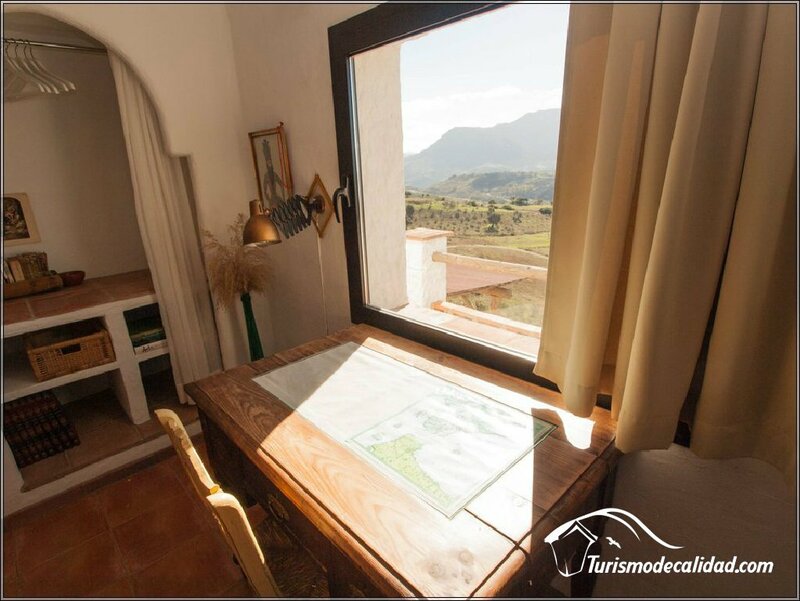 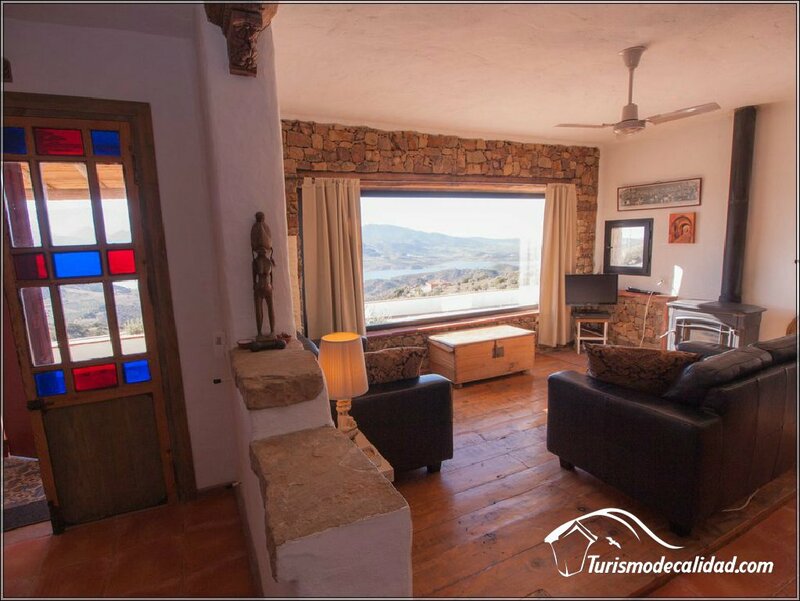 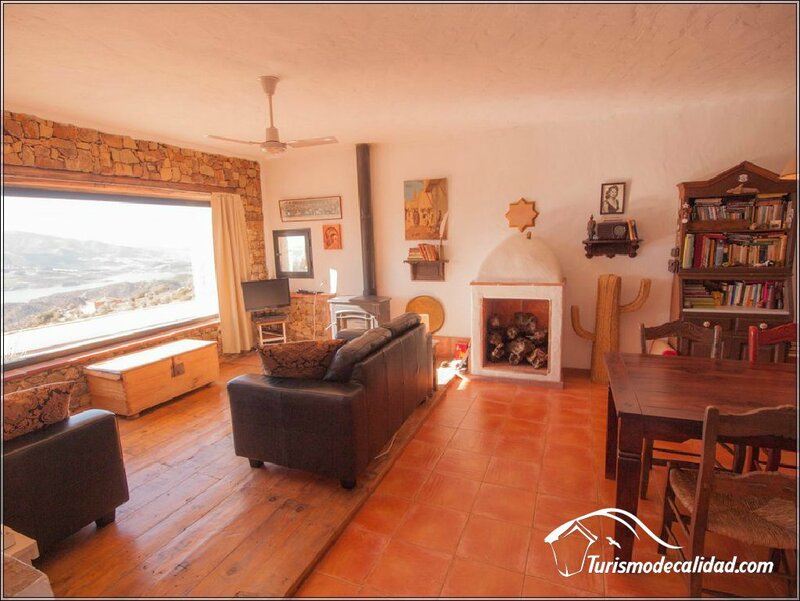 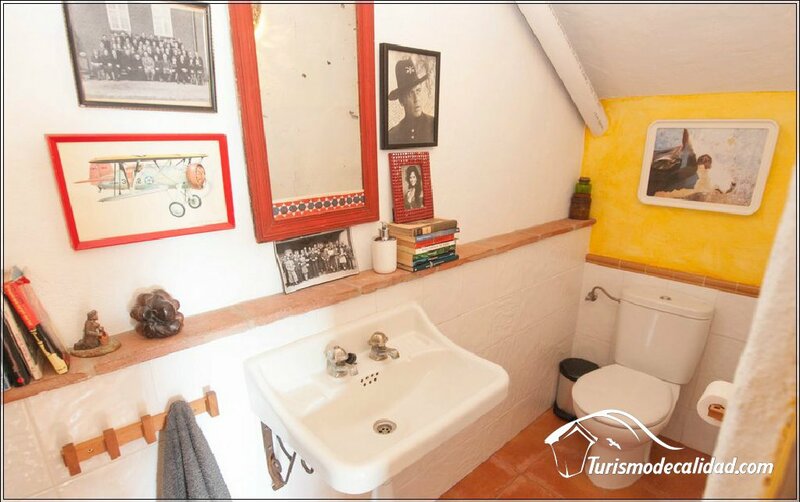 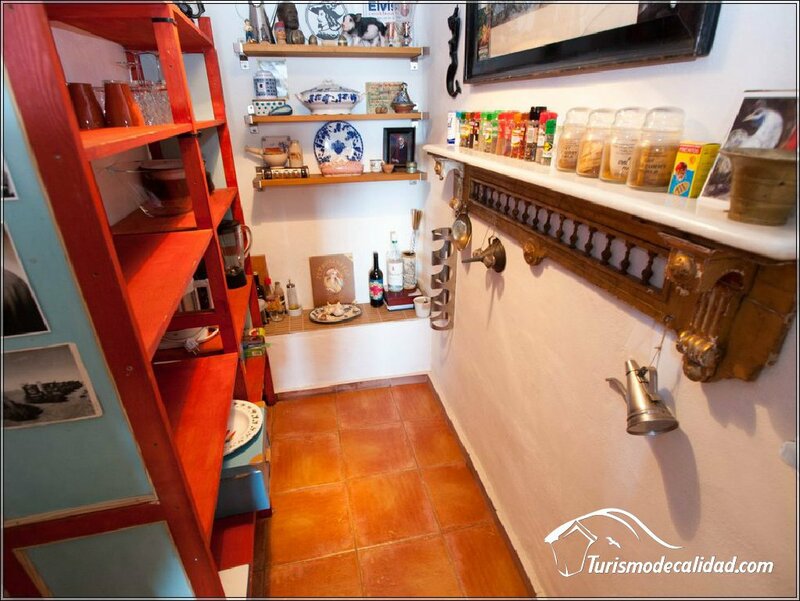 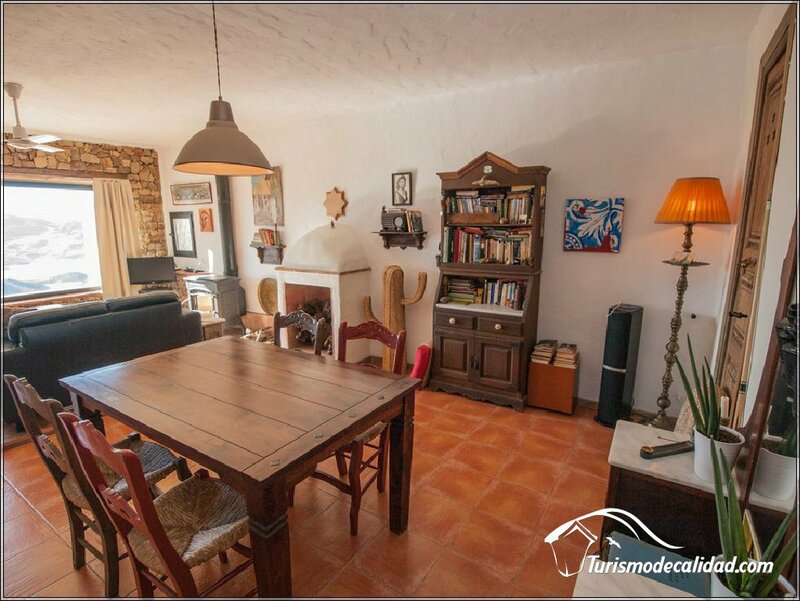 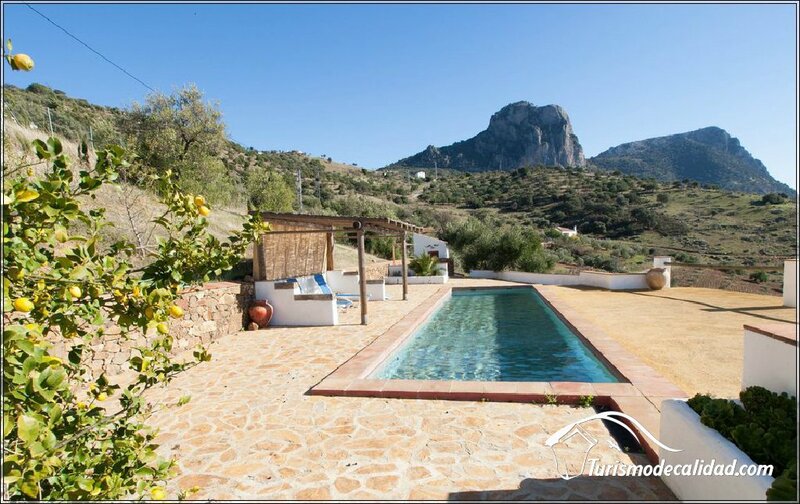 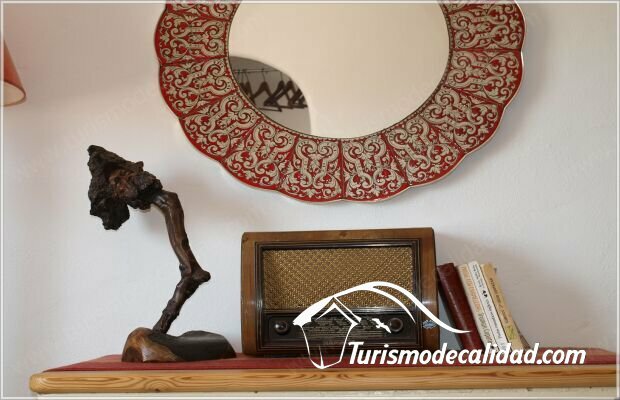 From this bright corner, wide panoramic towards the natural park of the Sierra de Grazalema , Zahara de la sierra and the Sierra de Lijar. 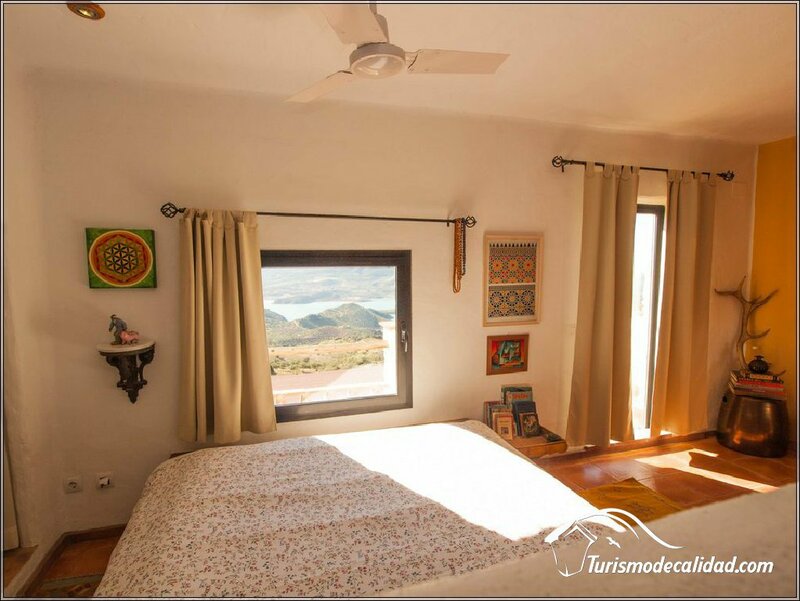 Worth to mention the view of the sunsets, all seen without moving from the porch of the accommodation. 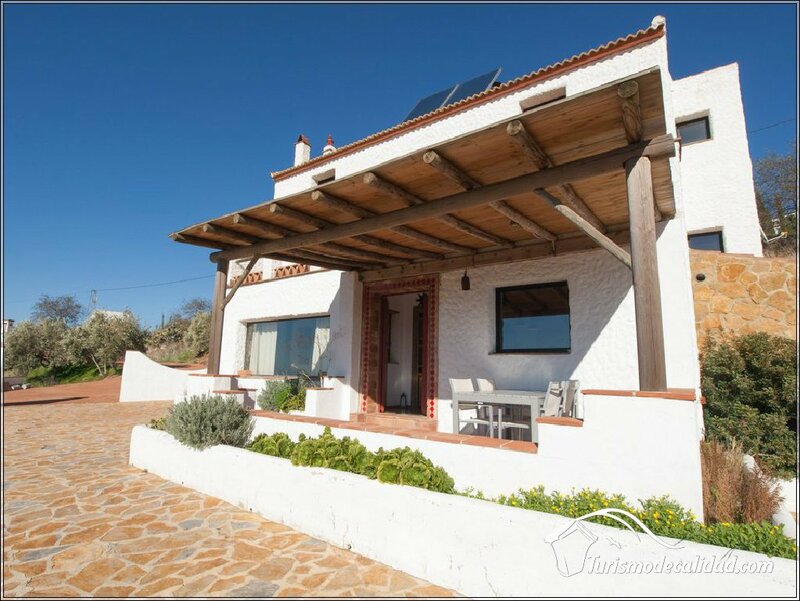 This house is new construction with rustic touch, both outdoors and indoors. 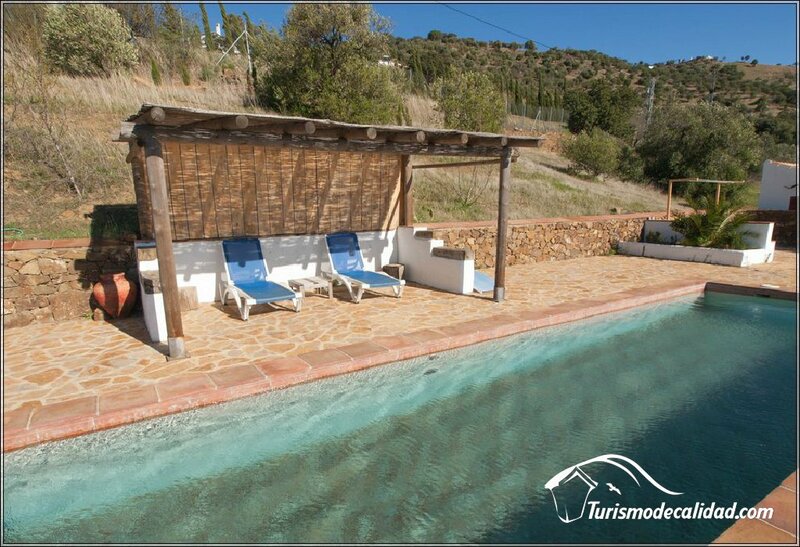 The outdoor is has a 12x3 meter swimming pool, barbecue with table and chairs and the amazing views. 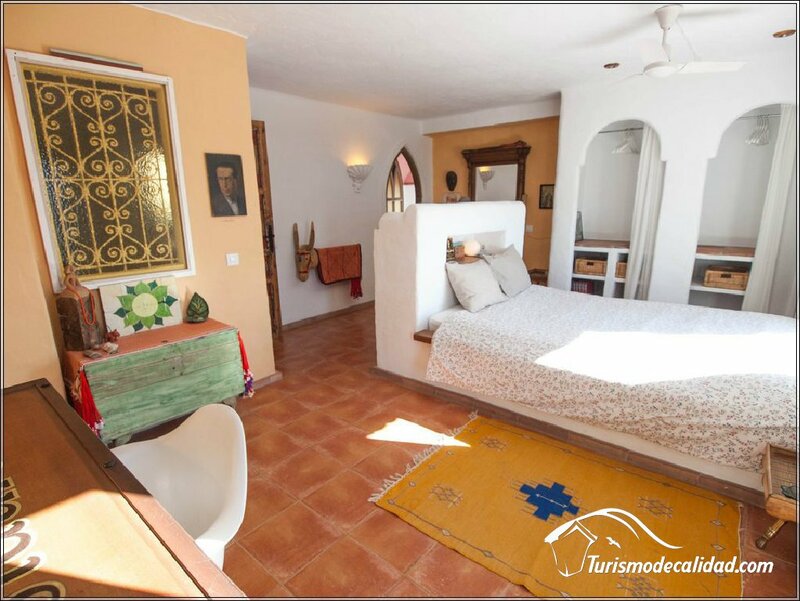 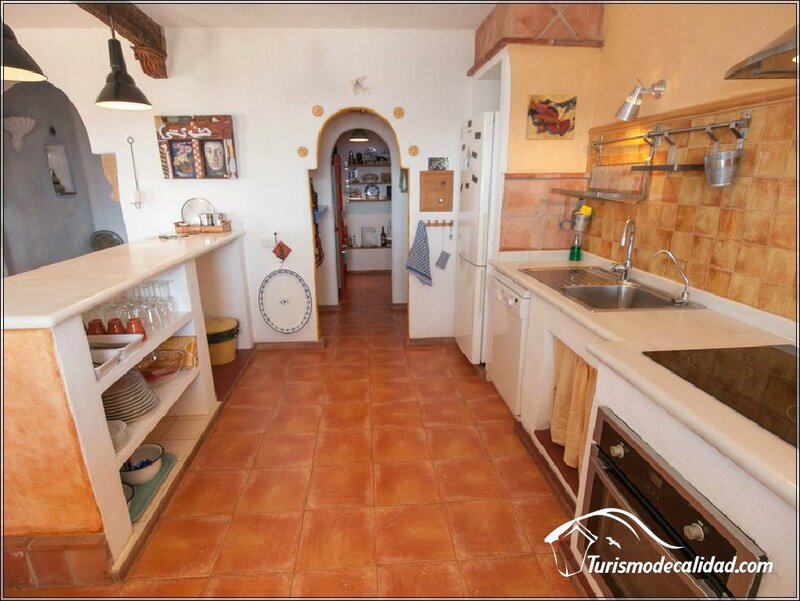 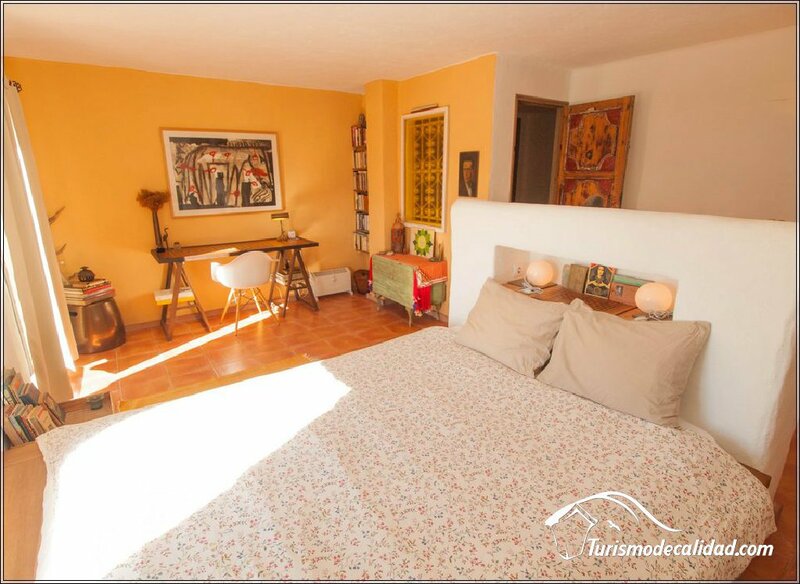 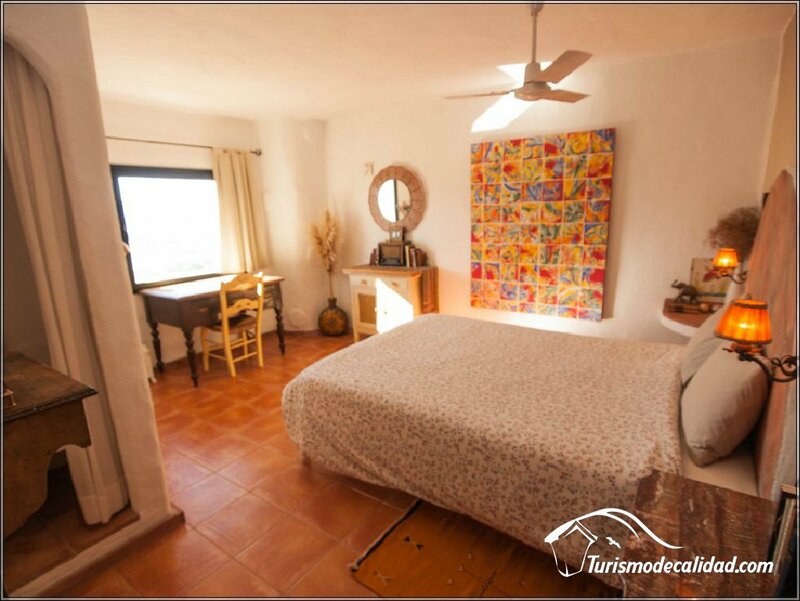 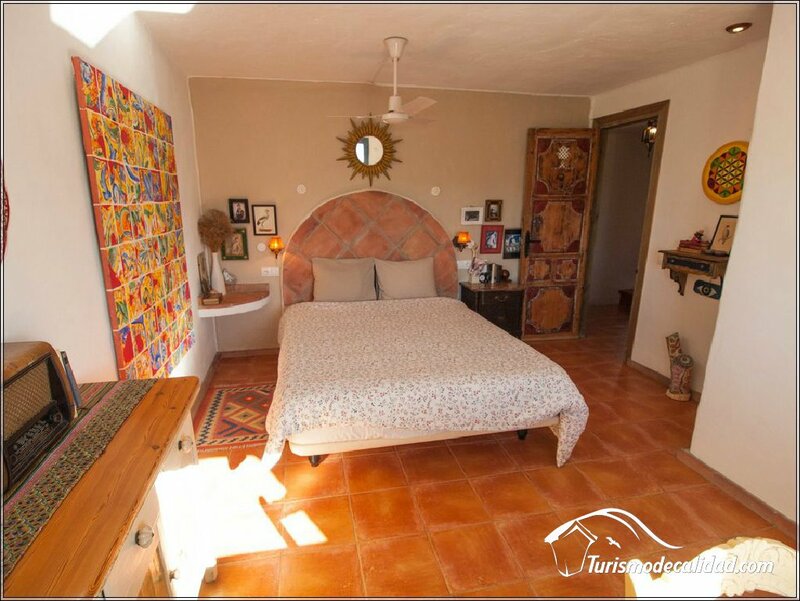 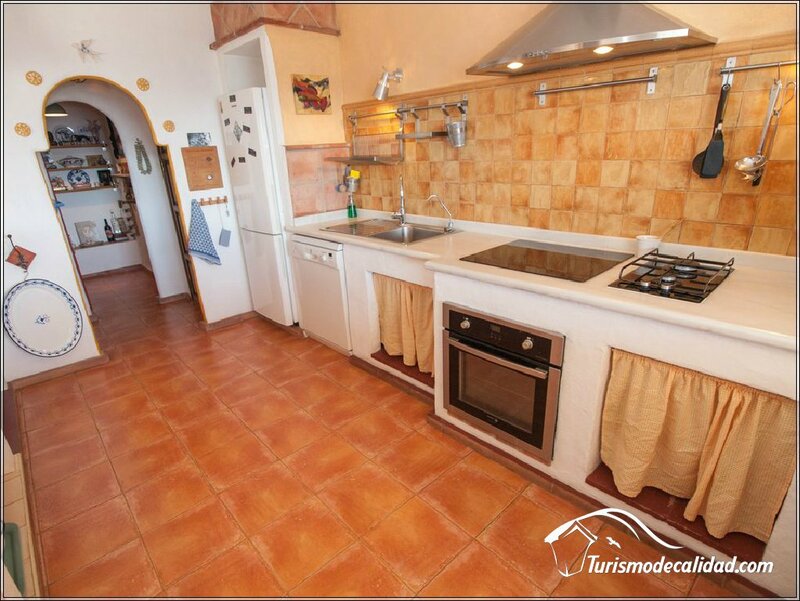 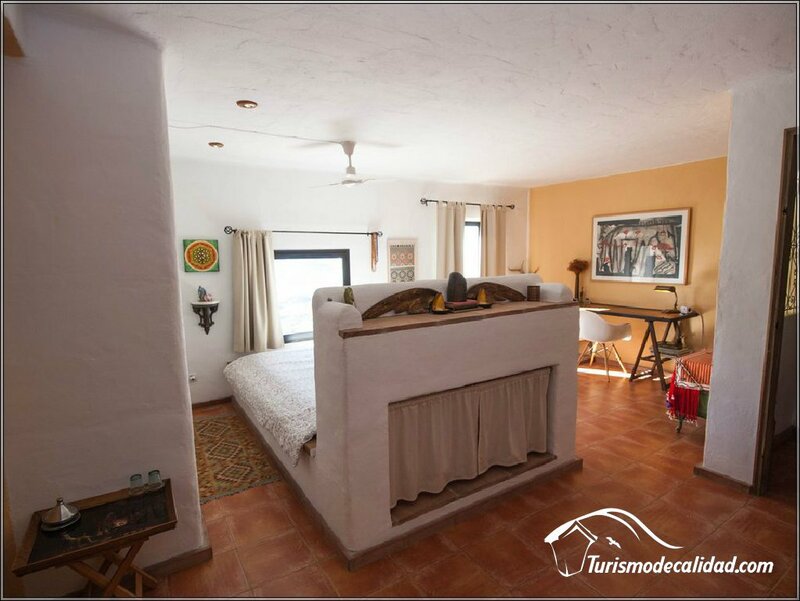 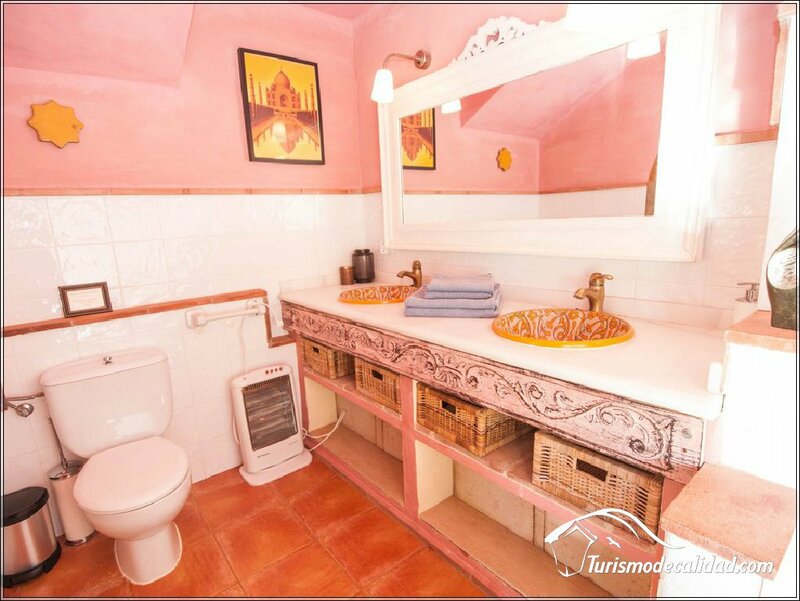 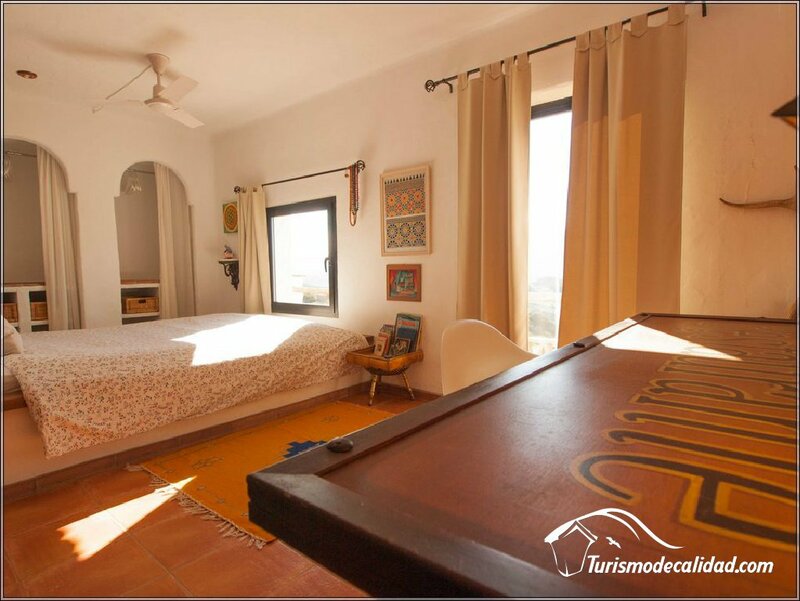 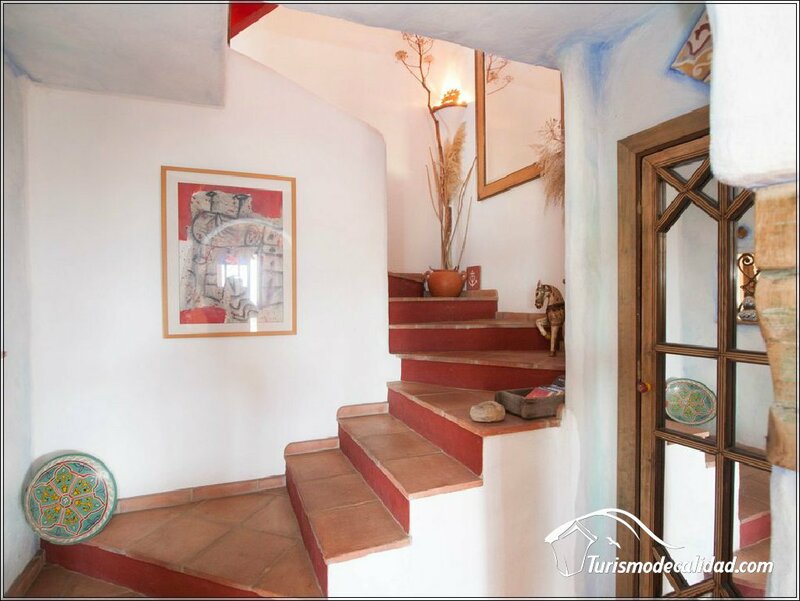 On the upper floor there are 2 bedrooms with a bed of 150cm each and 2 bathrooms, one with shower and another with a bathtub, one of the bedrooms has a solarium terrace. 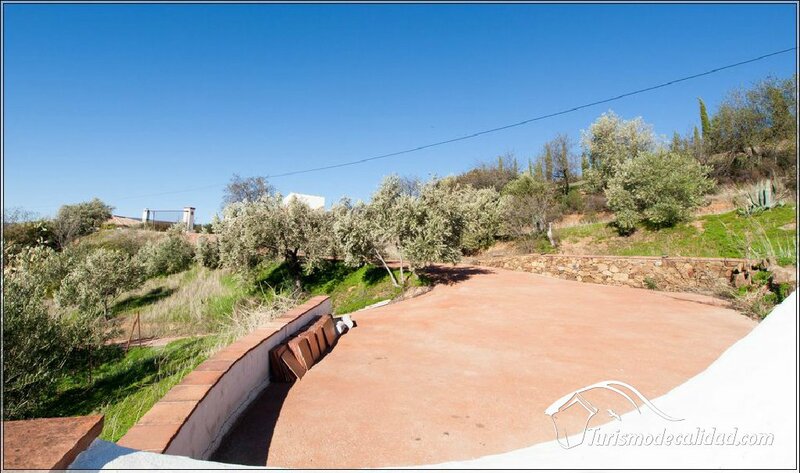 The access is fully paved, 300 square meters of cobbled exterior surface and parking area for vehicles. 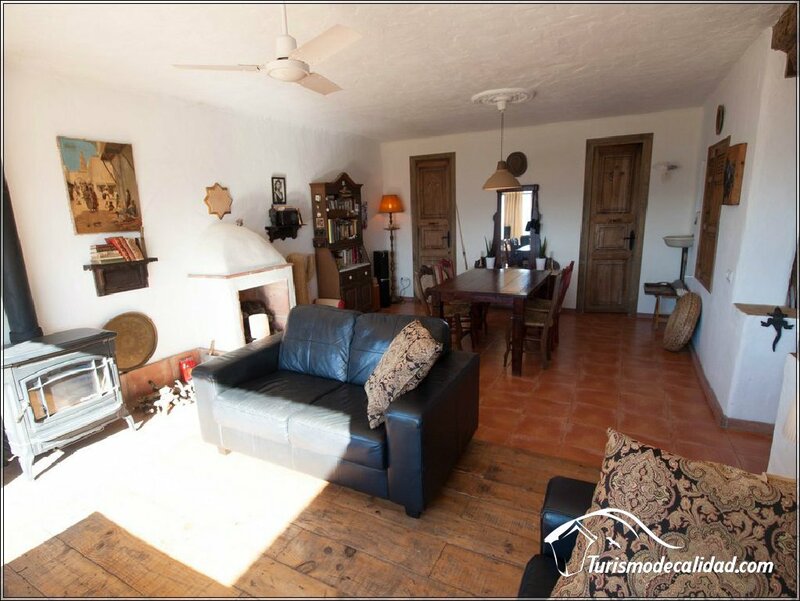 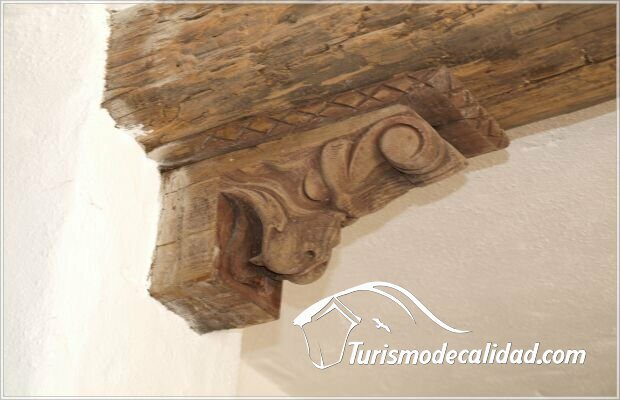 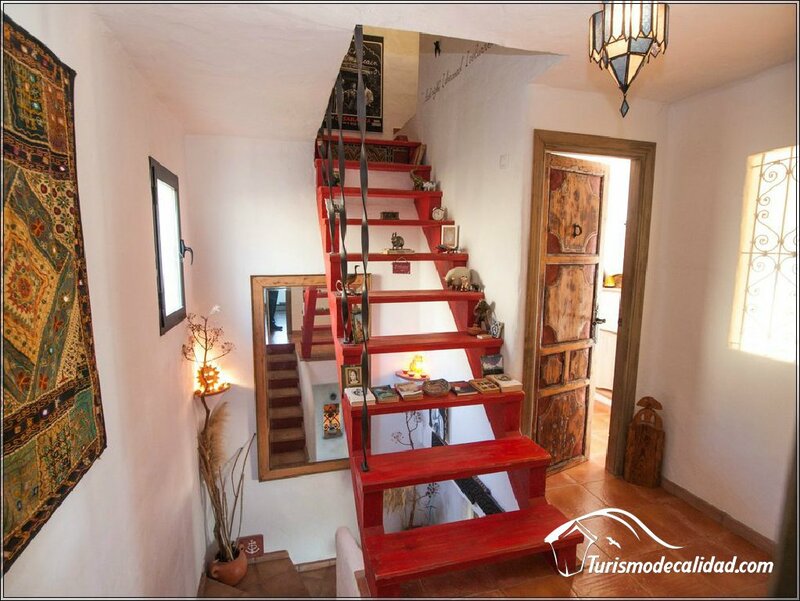 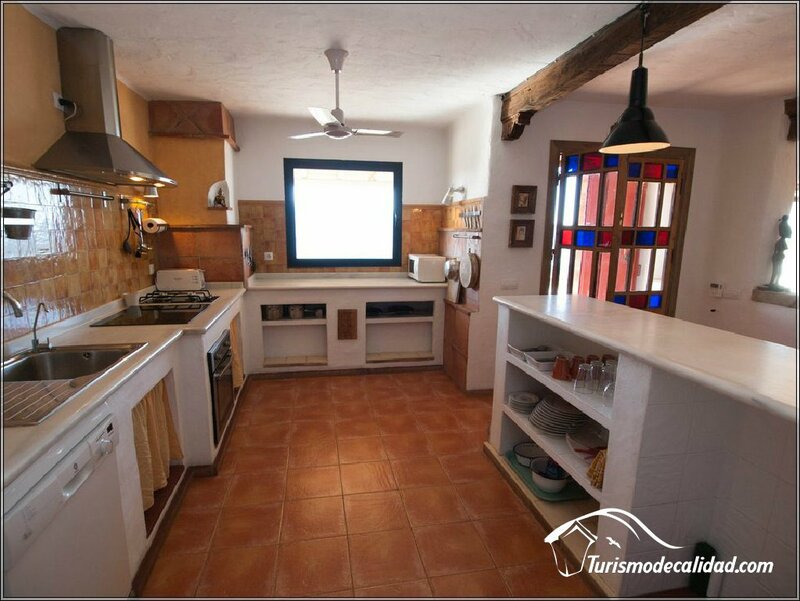 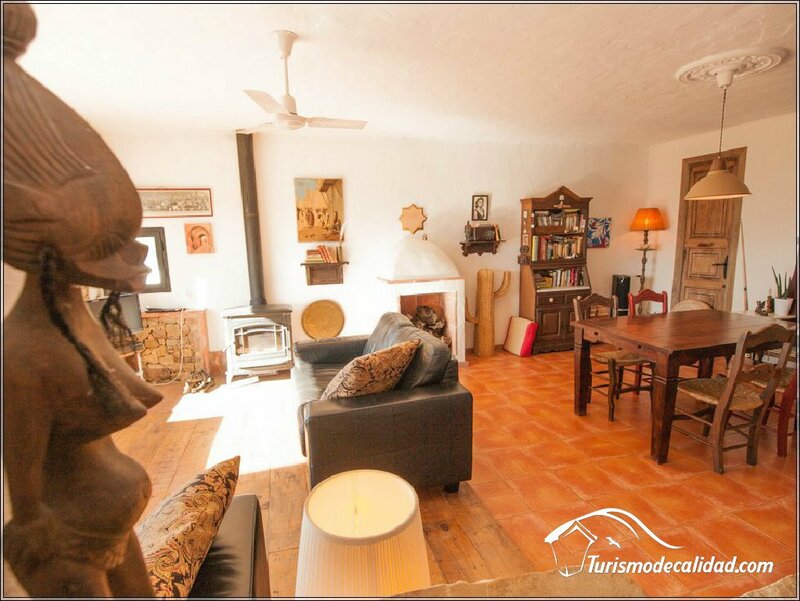 In El Rincón del Jaral you will find original paintings, antiques, crafts from different parts of the world and an organic and harmonious architecture, this results in a warm and unique building. 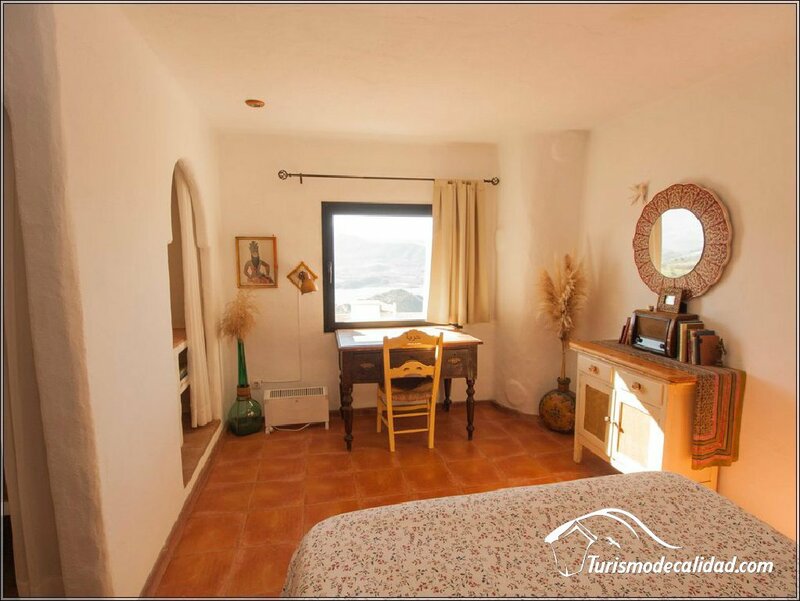 Together, the house and the location, make this place more than just another rural accommodation. 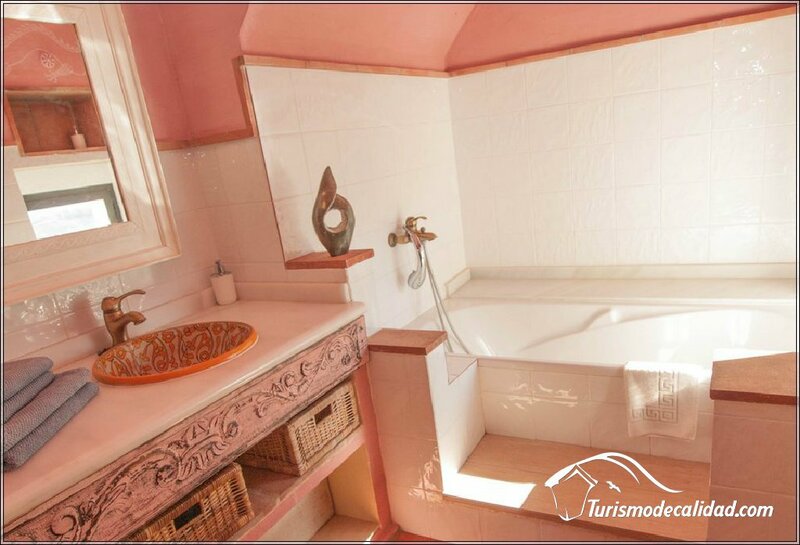 This accommodation is for those looking for something different and exclusive.